Preston Vision Board, is already being dubbed by some as "Preston's real government", because it is making key decisions that will affect the future of all Preston's people. Yet the group is unelected and represents property developers such as Grosvenor Estates, and other businesses involved in the construction industry. This is the group which first came up with the notion of barraging the Ribble, and building over 4000 houses in it's floodplain. The group is only now beginning to release minutes of it's meetings, going right back to it's first meetings in 2003. 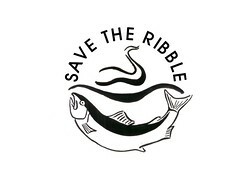 We at Save The Ribble have got a copy of the minutes of their meeting held on 20th December 2006, courtesy of a Labour councillor who is angry at the Vision Board's record of failing to inform or consult elected members on the Riverworks proposals. He said "We should continue to press forward with our views to ensure the Vision Board, unelected/appointed by who I do not know, listen and act according to what the local community want rather than dictate to us their opinion based possibly on commercial interests"
Minutes always give a very limited picture of what actually went on at a meeting - this one was attended by 11 people, including David Borrow MP. From the minutes we learn that the feasibility study into the docks project has been funded with a £120,000 grant from the NWDA. 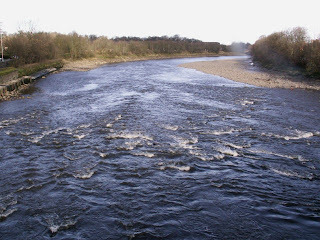 This feasibility study does not cover the proposals to build a barrage across the River Ribble, so one can only imagine how much extra public money the study into these proposals is likely to cost. 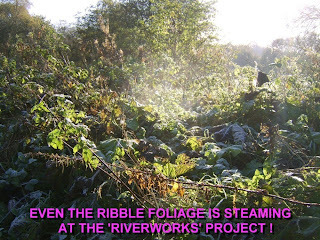 Jean Hunter of South Ribble Borough Council confirmed her authority's 'continued support' for the Riverworks project. (This is likely to come as news to many South Ribble councillors, who like the Preston Councillors, have largely been kept in the dark about the Riverworks proposals). Jim Carr suggested that Riverworks could contain consideration of 'sustainable energy production' - If he means using the barrage to generate hydro-electric power, then this really is a non-starter, the amount of electricity that could be generated from the Ribble would be absolutely tiny compared with the immense environmental damage a barrage would cause. In order to get the 'head' of the river high enough to generate electricity for any length of time, the water level would need to be raised even more, vastly increasing the flood risk to locals. Malcolm McVicar, Jeremy Gorick and Nicola Turner to arrange lunch with the editor of the Lancashire Evening Post"
Save The Ribble are delighted about the news that the Ribble Coast and Wetlands Regional Park is to go ahead. 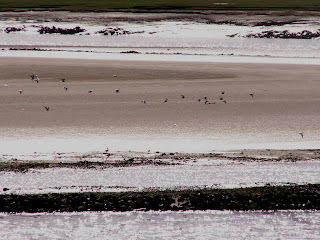 This development, which is safe, sustainable and environmentally sound will attract visitors from all over the country to enjoy the beauty of the Ribble's estuary and Wetlands, admire it's rich and diverse wildlife, including it's 250000 wild birds and be able to walk and cycle in the area. 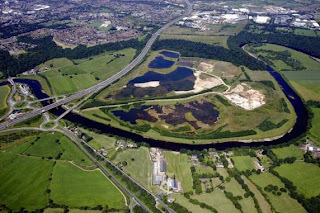 This development taps the true economic potential of the Ribble: particularly for wildlife tourism and will be a huge asset not just to Preston and South Ribble, but to the whole of the North West. Ninety-five percent of Grand Canyon's sediment and nutrients are trapped behind Glen Canyon Dam. Organic materials mixed into this sediment used to provide the fertilizer for the river ecosystem's health. Instead, the Colorado River in Grand Canyon now runs clear and cold, allowing the green alga cladophora to grow and replace the natural warm-water food web. The absence of replenishing sediment is also causing critical beach and sandbar habitat to disappear, and undermining the stability of archaeological sites sacred to the Canyon's native peoples. Our revelation of the identities of members of the Preston Vision Board as being property developers and companies that make their money by building marinas has provoked a lively debate at the Preston Lancs Forum click on the link to have a look. Dams along the Danube River — one of the longest flowing rivers in Europe — have already destroyed 80 per cent of the river basin’s wetlands and floodplains. 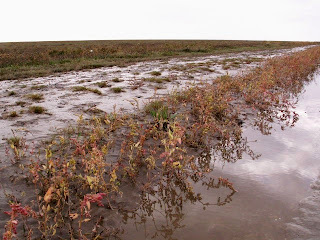 Lets not let this happen to the Ribble! 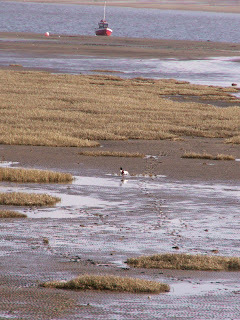 wetlands are economically valuable biomes that provide goods and services upon which many communities and economies depend. 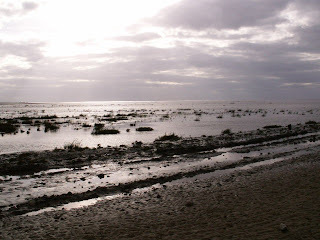 Recognizing the economic importance of wetlands in addition to their biodiversity, scientific value, climate regulation, potential tourism, socio-cultural and other important wetland values is yet another good reason to reverse global wetland loss. Dam operations also influence water quality. Water and sediment retention affect water quality and the waste processing capacity of rivers (the ability to break down organic pollutants). This could lead to production of toxic hydrogen sulphide gas that further degrades water quality. 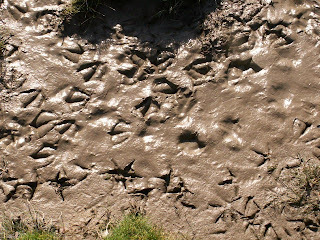 You can read more about the Ribble Coast & Wetlands on our sister blog, The Ribble Cycle Diaries. 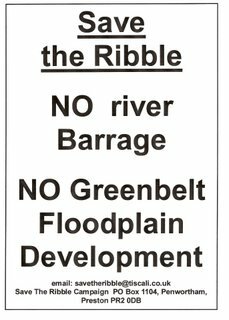 Save The Ribble has found out the identities of the members of the Preston Vision Board - the group that, with the support of Preston City Council, and consultancy firm GVA Grimley has published glossy leaflets advocating the building of a barrage across the Ribble and 4000 houses in the greenbelt nearby. The members are largely representatives of local quangos, but who the few private sector representatives are makes very interesting reading. First of all, of course, is Grosvenor Estates - a major property developer, belonging to the 3rd richest man in the country. Also interesting is Jeremy Gorick, he is joint managing director of Flexcrete, a company that "manufactures a range of concrete repair materials and protective coatings for buildings and civil engineering structures, the water industry and marine structures, as well as specialist products such as car park decking systems and waterproof floor coatings". 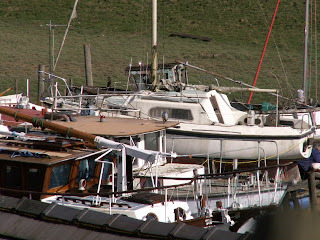 So the situation is that we have representatives of a firm that supplies sprayed concrete technologies used in the construction of marinas, and a firm who's business is the development of housing and commercial properties, advocating the construction of an enormous marina, and the development of large amounts of housing and commercial properties along the Ribble, and being supported in these plans with public money from the NWDA, and the time of Preston and South Ribble Council Officers. Council officers who are incidentally paid by local council tax payers - who don't want to see the beautiful countryside by the Ribble turned into a housing estate, and it's precious environment destroyed by a barrage. Jeremy Gorick has since contacted us and informed us that while he was in the past joint managing director of this company, he no longer has any connection whatsoever with Flexcrete (SEE COMMENTS BELOW). We thank Mr Gorick for contacting us and we are pleased to make it clear that Mr Gorick is a FORMER managing director of Flexcrete, but has now severed all his connections with the company. Members of the Save The Ribble Campaign were amongst the other local residents who attended Preston City Council's 'Central Area Forum' on Thursday 15th March. We found that our concerns about the undemocratic Vision Board's schemes were shared, not just by residents, but also by some councillors. Ms Turner did not mention millionaire businessman Arif Patel who according to the Lancashire Evening Post, quit his position on the Vision Board in 2004 after the LEP "unearthed the fact that he had pleaded guilty to a charge of conspiracy to defraud the council after Lancashire Police's Operation Angel investigation into claims of town hall corruption." According to this report "Membership (of the Vision Board) is by personal recommendation and subsequent agreement by the Vision Board"
The Vision Board are not elected by anybody, yet are making momentous proposals about the future of Preston and about how large sums of public money, and Preston City Council officer's time should be spent. The group has been in existence since 2003, but they only published the minutes of their meetings, going back to 2003, last week. Some of their documents, according to Nicola Turner cannot be released to the public because they are 'commercially sensitive'. We have been told many times that the proposals put forward in previous Council/Vision Board documents, which show maps of major housing developments on the green fields, sports grounds and allotments on the South Bank of the Ribble are 'just ideas' and 'blue sky thinking', and that Save The Ribble are 'mischief making' when we draw local people's attention to these images and documents, yet at this meeting we found yet another glossy brochure, bearing the City Council Logo, which shows computer graphics of blocks of flats along the tramway and on the fields opposite both Avenham and Miller Parks (over land currently used by Penwortham Town FC to play football and train local kids). 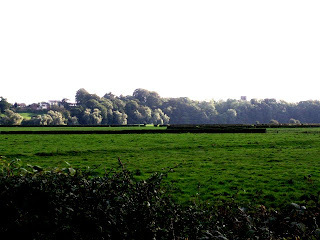 The document says that 'Key Project Proposals include the development of a barrage across the River providing a range of economic and environmental benefits' It also states that this is an 'Urban Area' contradicting it's introduction where it refers to 'easy access to areas of open countryside'. 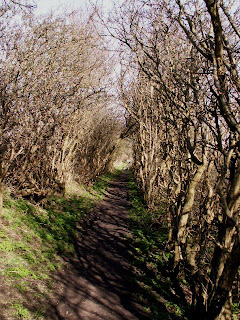 Local people's objections to the undemocratic, unrepresentative and secretive nature of the Vision Board were echoed by a local councillor, and former mayor, who lambasted the board for its secrecy and said that he shared residents concerns about the barrage proposals, while Councillor Swindells, another councillor who has publicly declared his opposition to the barrage proposals, said that he had been assured by people at the Environment Agency that any proposals to build housing in the floodplain would be in breach of their policies. The whole section of the meeting devoted to the 'work' of the Vision Board showed what a secretive shambles is going on, behind closed doors, in a way that is making some local councillors angry and frustrated at their lack of accountability. Is it 'mischief making' to suggest that the future of our City should be determined by people who are elected and subject to public democratic scrutiny, people who demonstrate a commitment to the well being of local people, not to the wallets of greedy developers and wealthy businessmen? 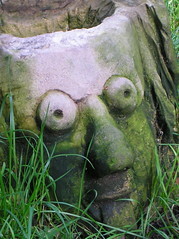 If the Council and the Vision Board are to maintain any kind of credibility with local people, they should publicly renounce any plans to barrage our river, or to build housing in its floodplain - if they proceed further with these ideas, they will make local people even angrier, and more determined to resist. Advocates of the Riverworks Ribble Barrage idea have been busy making the false claim that somehow a barrage designed to raise the river level can also protect us against floods. This idea has even been slipped into the Local Development Framework documents, when all the evidence shows the opposite. "What if there were a Carlisle-style flood... would the sluices be closed when the tide came in?.. No, they'd be wide open, no matter how high the tide, and then it would be in the lap of the gods whether flooding occurred. 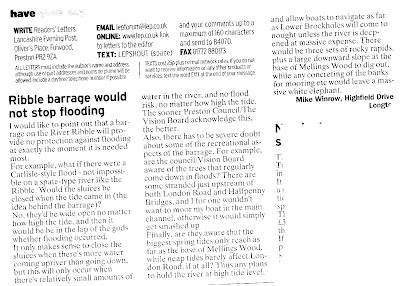 It only makes sense to close the sluices when there is more water coming upriver than going down, but this will only occur when there's relatively small amounts of water in the river, and no flood risk, no matter how high the tide"
Mike Winrow's arguments echo those in the River Ribble Weir Appraisal, written in 1986 by expert consultants Halcrow who were commissioned by the council the last time they wanted to barrage our river. Their in-depth study points out that barrages and weirs in the river INCREASE the risk of flooding when the river is in spate, and gives a long list of reasons why barraging the Ribble to turn it over to 'leisure use' would be totally impractical and raise the flood risk to local people. There are two possibilities. The people who are making claims that the barrage will defend us from flooding have read the Halcrow River Ribble Weir Appraisal, in which case they are knowingly telling lies when they claim that the barrage would be a flood defence, or else they have not read this key document, in which case they are proving themselves to be unprofessional and lacking the competence to plan the future of our city. 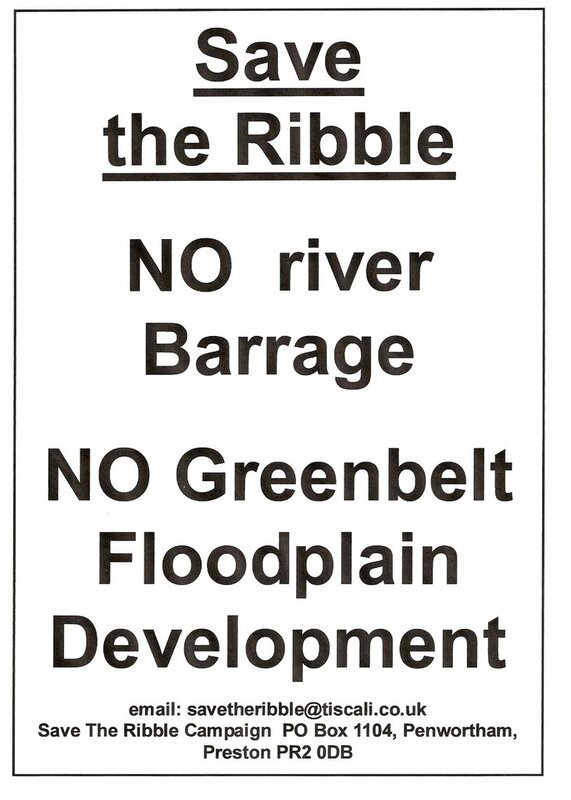 Now then , the Ribble Barrier will bring wonderful benefits to South Ribble and Preston will it? A power station, waterbuses, a new road, and 4000 houses, cor blimey! Some folk just do not get it or at least only see the £ signs. All those proposed benefits seem like a disaster for the enviroment around the river and beyond. 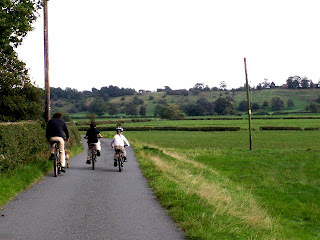 Why would building a new road link down a quiet counrty lane across farmland be a benefit? How are building 4000 homes within walking and cyling distance of Preston going to make people walk and cycle? There are already 1000's of homes within that distance and I do not notice the roads bursting with bikes and the footpaths overflowing with pedestrians. Lets get that plan going first so proving it could work that way. The best one though is the waterbus. How big is this going to be, how many do they plan to use, how fast will they travel? Do the planners seriously think commuters would use them? Forgive me but the last time I looked the river does not pass any major factories or schools or anything else that people would commute too. Presumabley they would also employ an icebreaker for winter as a slow flowing waterway would regularly freeze over. Why are tourists are going to be attracted to this? There is nothing in our parks that make them that attractive to a visitor. Beautiful as our parks are they are not a tourist attraction. They would need facilities, a cafe, toilets, bike hire, shops, carparking etc etc as well as the infrestructure associated with the buses themselves. In any case any tourists would increase traffic along with the other 4000 homes rapidly filling the new roads. 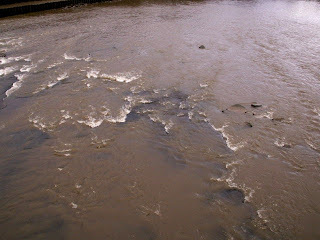 The Ribble is a fast flowing river with a burden of mud and silt. If a barrage is built this will be dropped in the Preston area, in turn this will lead to erosion elsewhere. I am not an expert but if more silt is laid down upstream surely this must lead to increases flooding risks so more protection would be needed for any buildings on the natural floodplain. There is an abundance of wildlife that will have its environment changed forever. The peace and tranquility of a large area west of the docks would be destroyed with roads and industrial development. 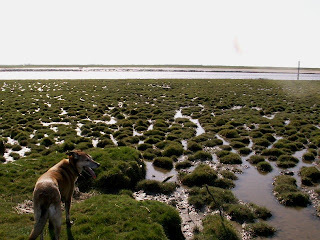 Remember the Ribble Bore, what an impressive sight that is. What would happen to this? Look at the amount of flotsam and jetsam (rubbish) on the banks. What will happen to this if there is no tide? Maybe it will eventually collect at the new power station and jam it up. Yes, I say develop the river, encourage people to use the open spaces and natural environment provided by our river, there is much potential there. But no, a barrage is not a development for me. It looks like another docklands type plan. Good on paper in money terms, but in reality a big disappointment to the people who saw the potential lost to car dealerships, stores and distinctly smelly water. The Ribble's silt-laden spate waters at low tide rushing beneath Old Penwortham Bridge by Jabberwocky. "We could hear the sound of the water as we approached the river and we took our time watching the river and the birds as we always do, and the fresh spring breeze blew the sound of the water over us. It really lifted our spirits out of that usual Monday morning feeling as we crossed the Bridge ..."
This rather impressionistic picture was sent in by Kevin as it's one his son Greg took which he particularly likes. Thanks Kevin and Greg! Do wistly me behold, and are beheld of me." 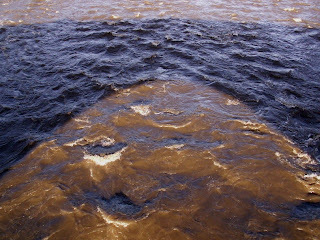 A few years ago, after seeing this poem, the Ribble Basin Campaign held a competition to find a new poem for the River Ribble in the new Millennium. They got a fantastic response and have sent in the winning poem (by Tom Hicks) and the 3 runners up. Ere to the seas they, meandering, flow. Calling, enthralling to us one and all. Sought by the traveller to pleasure his way. High flew the eagle and bright shone the lamp. Lancashire truly but Yorkshire as well! Our sweet flowing river, the brightest and best. Glad there's no sight of the feared ducking stool! Watching for bubbles or sun's dappled gleam. Bringing employment with profit the goal. Bringing new thrills and new joys to the scene. Backward to landfall, out into the blue. Finding sweet peace, praising God, giving thanks." Is all of this splendour for me? Speeding your way to the sea. In the chill British rain. By my dear ancestral home. But the grandeur is wasted on me. Heal and refresh, renew and make whole. Wiping our tears and our fears away. Did God give this splendour to me? Ships from far away slide into dock. A promise of wealth for me. Is all of this profit for me? In the sleet on the side of the hill. Will fetch in the market place. For me there'd be no life at all. Warm on my arms, I watch the river. Shady trees, a quiet village straight from a story-book. I close my eyes and sigh for the simple delight of it. Is all of this beauty for me?" Fine Roman walls, a Norman keep. Market towns and fertile plains. Fine helmets, pistols, staffs and sword. Where Cromwell paused, in thought. As the Civil War was fought. 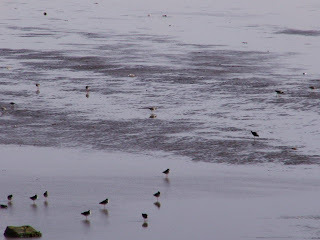 The River Ribble - wild and free!" I spring into existence and take up my cause. By heather-laden hills - my future is secure. 'Environmentally Friendly', is the song that I sing. I appreciate her contribution of soft, sparkling water. Beautiful regal kingfishers - their aims very clear. Everyone - please care for me - I'm worth much more than gold! Initiative is needed if people are to rally. 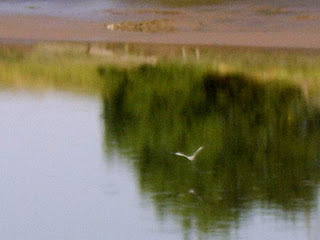 Bewicks's swans, pink-footed geese too - that in my estuary abide. Educating all to watch for me - Another Millennium I want to see!"